Wow, Ms Rodrigues. I’ve finally had a chance to take a look at what you’ve done and it really is awesome. 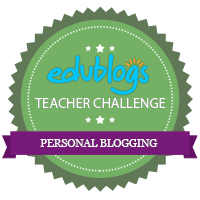 Your blog is really inspiring and a great way to showcase your learning. I’m really super impressed and I love your layout. It is very fresh and stimulating. I’m sure students will find your blog inspiring too. Maybe you can show them what you’ve done in our next session tomorrow.